At BPLinks, our business is your business. We are here to help you grow, increase your market share and make a name for yourself. Making the right connection for our customers is what we’re all about. Here are a few customer stories that showcase our ability to work with your company and to take to the next level. “Founded in 1987, with our headquarters in Israel, Chic Cosmetic Industries Ltd is one of Israel’s leading cosmetic companies. The company manufactures and markets a diverse range of beauty care products, both under its own brand and for private label requirements. We invest substantial amounts into the research and development of innovative products and specific components, maintaining a laboratory dedicated to new product formulation and color cosmetics development (using stringent quality assurance tests). Looking to expand into new regions and markets, our challenge was to find the right fit. Our primary concern was how to promote our brand in different parts of the world. As a leading player in our home country, we wanted to draw on our already successful marketing and branding techniques and apply them internationally, using a local distributor/partner. Drawing on their many international business connections and business development “know-how,” BPLinks helped us connect with a number of key players in the cosmetics industry in the EU, the Far East and LATAM. This collaboration set off a “chain reaction” which led to the opening of additional franchises in other regions. The result was a number of successful partnerships and business deals, as well as useful connections to wholesalers, distributors and regional agents. Working with BPLinks helped us build new international business relationships and to increase our turnover. We were able to approach each new market quickly and effectively and this, in turn, lead to a tremendous increase in sales (and not only with our best-selling items, but also products that had been less successful with local consumers). Additionally, we have now commenced OEM and private label discussions with some of the companies we were introduced to through BPLinks. 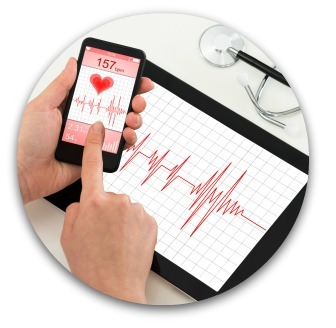 “HUMEDS LLC is established as spin-out from mother company HTEC LLC focusing on tele-health solutions. HTEC LLC is an fast developing engineering company providing tech. dev. for some of the industry key players such as Intel and Philips but also for many smaller and start-up companies from LA, SF and NYC areas, as well as across EU. Based on local market requirements, and after analyzing and evaluating society needs in our region, we started to develop our own Telemedicine (E-Health system). Since we knew Israel is one of the main hubs for brilliant minds along to vast experience in that field, we approached BPLinks, in order to reach the veterans and globally well known Israeli developers/doctors. In a very short time frame that surprised us by the quality and quantity of candidates, BPLinks managed to allocate impressive amount of potential individuals, firms and companies that should assist and support our marketing procedure (the reason why we gather for) and more over on the development side. “Danya Cosmetics, a leading cosmetics house, upholds the values established by its founder and owner, Moshe Bensason, a man with natural artistic flair and a deep love for art and photography. 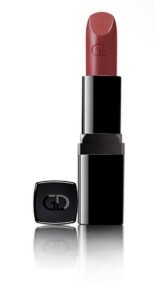 Our leading international brand GA-DE was founded in 1985, and since then has become a major player in color cosmetics, skincare products and perfumery offering a wide spectrum of color cosmetics products in terms of shades and collections, nail and skincare products, as well as fragrances. GA-DE has consolidated its leading status in the local market with the highest cosmetics sales not only by quantity but also by value. The brand began exporting its products in 1990, via local distributors in each overseas market, and is enjoying growing success in this area of activity. In several countries, the brand has achieved remarkable positions in terms of market share. During recent years, the brand has evolved, developing new colors and collections to meet the preferences of other cultures. Our marketing teams value every opportunity for communication, presenting our brand spirit, products, knowledge and tools to our distributors around the world.